Why confine yourself to a single element? These quick-drying shoes play well on land, water and the magic places in between. Uppers are lightweight welded textile and mesh. 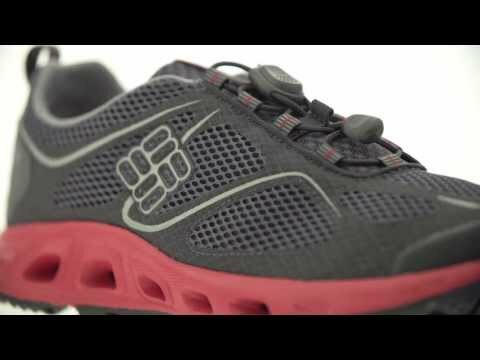 External TPU toecaps protect against rock bruising. Techlite midsoles provide excellent cushioning and high energy return. Midsole ports allow water drainage and airflow. Outsoles are Omni-Grip non-marking rubber with razor siping for traction on wet or dry surfaces.